Disclosure: I was given a credit from American Medical Id® to select and engrave a medical ID product for review. Although this product was a gift, all opinions in this review remain my own, and I was in no way influenced by the company. As a child, I had a friend who wore a medical ID for a peanut allergy. I asked her about it once, “Do you like wearing a bracelet all the time?” She just stared at me, and then she said it didn’t matter. She said it was important because peanuts could really hurt her, and the bracelet let people know. I remember being afraid of peanuts for a little while, because I didn’t understand, and then I wondered what it was like to wear a big, shiny bracelet all the time, even in the swimming pool and to bed. I’ve never forgotten the image of that giant medical bracelet on her tiny wrist. I never imagined that I would be in a situation of needing to wear a medical ID. For my childhood and a good part of my young adult life, I didn’t have allergies, health conditions, or medications that were important to know about in an emergency. 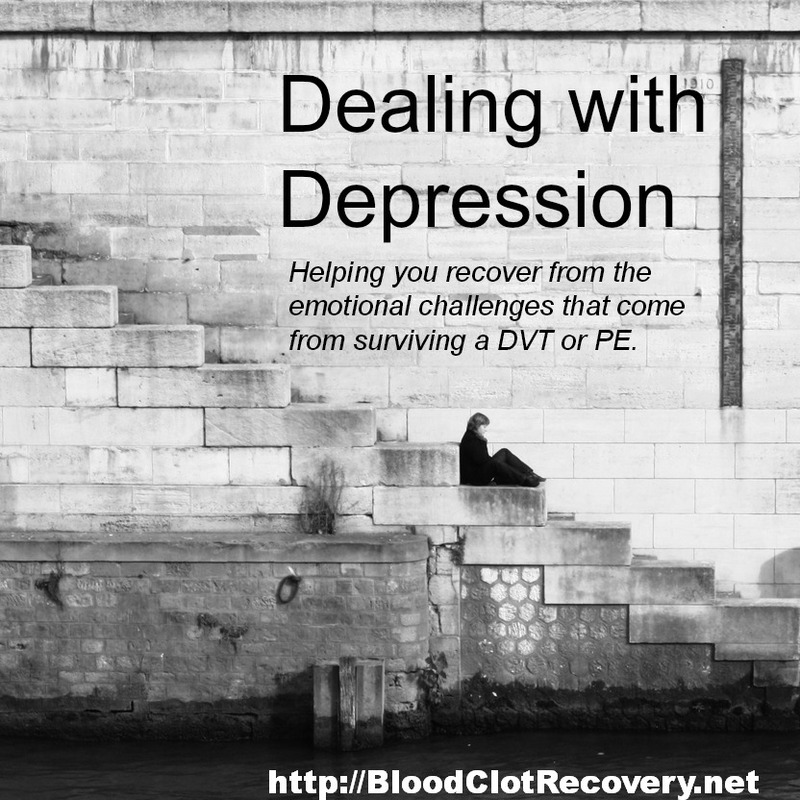 However, a DVT and PE in 2012 changed all of that and I found myself on long-term treatment with the blood thinner warfarin indefinitely. For the most part, I view warfarin as something that I need to stay safe, if not alive, and I don’t hate it. 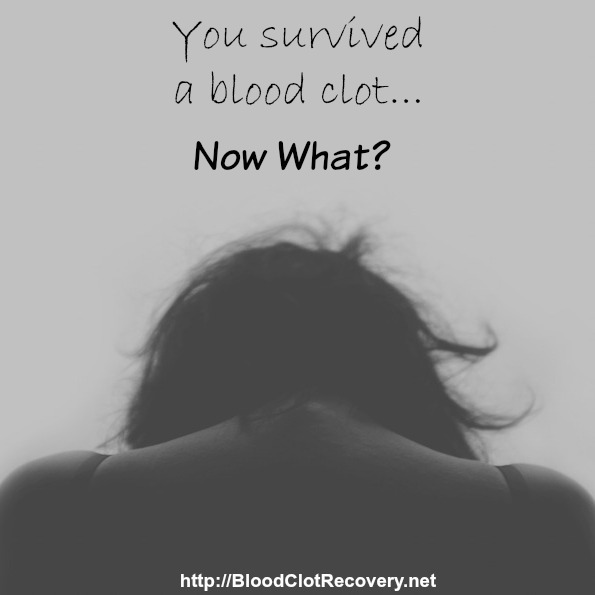 It’s hard for me to think of it as life-saving, but I do know it helps to prevent another blood clot that I might not survive again. 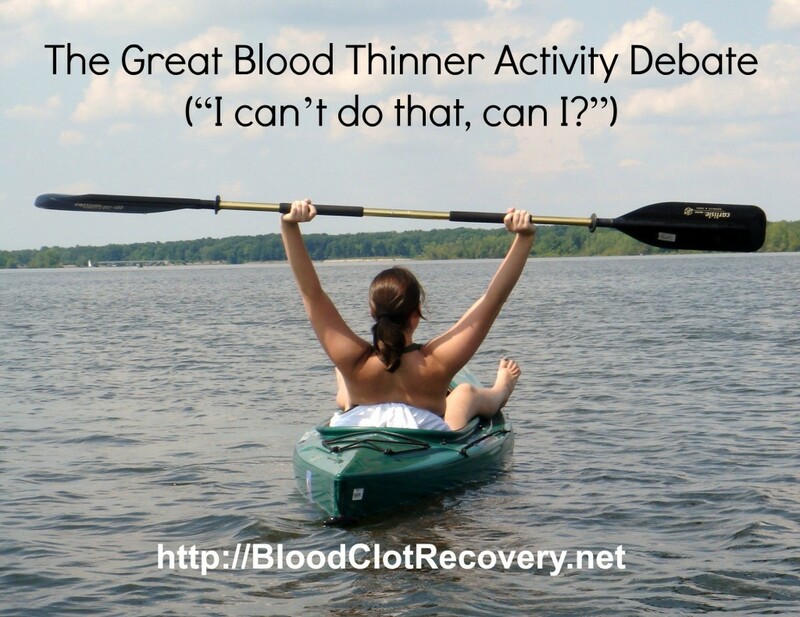 Blood thinning medications do help save lives, but as with any medication, there are risks that come along with taking blood thinners. 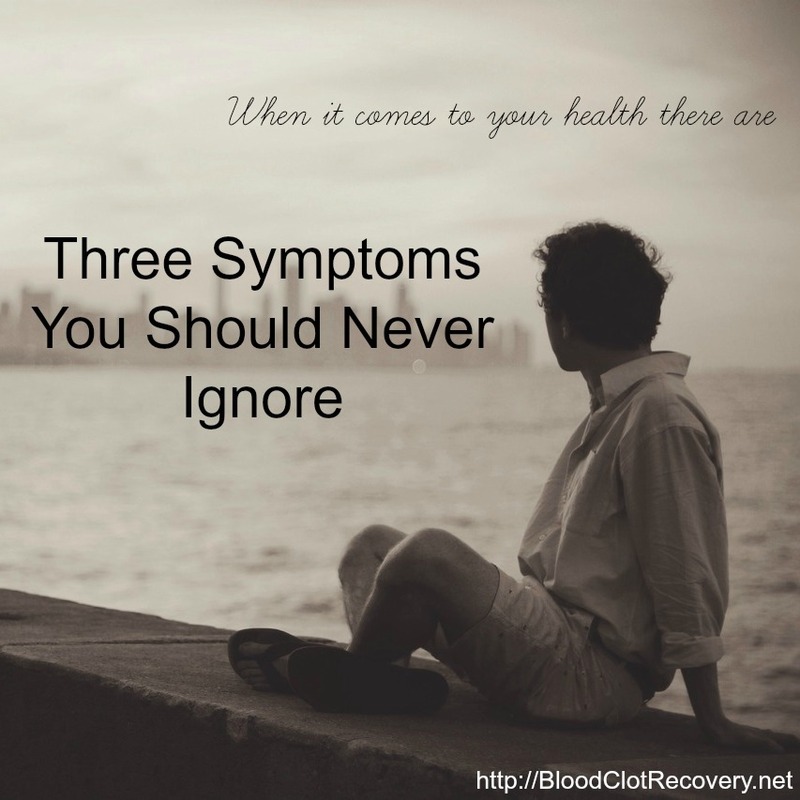 One of those risks is unwanted or uncontrolled bleeding, and usually, you can avoid bleeding risks by taking your medication as prescribed and keeping in good communication with your doctor. If you take warfarin like me, have your INR monitored regularly to ensure effectiveness. Catastrophic bleeding – like from a car accident or injury – can produce life-threatening bleeding that requires emergency medical treatment. I don’t think about being on warfarin all of the time anymore, but it’s never too far from my mind, and one of my worst fears is that I will have an accident while I am on it and be unable to tell anyone that I am taking this medication. 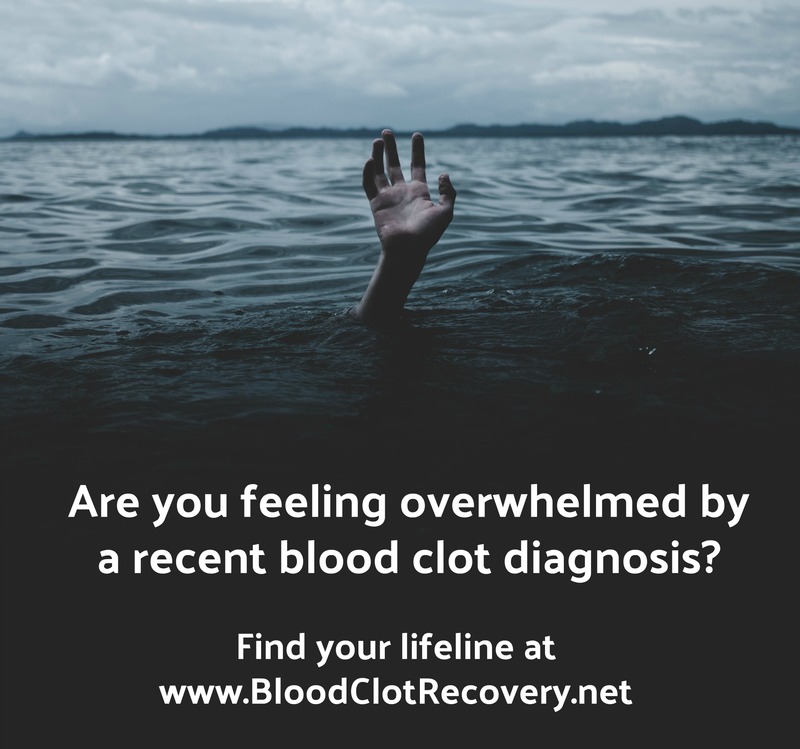 When I started thinking about all of the ways I could be injured without someone there to help me, or without someone who knew me, I realized that a medical ID was an essential part of caring for myself after a blood clot. 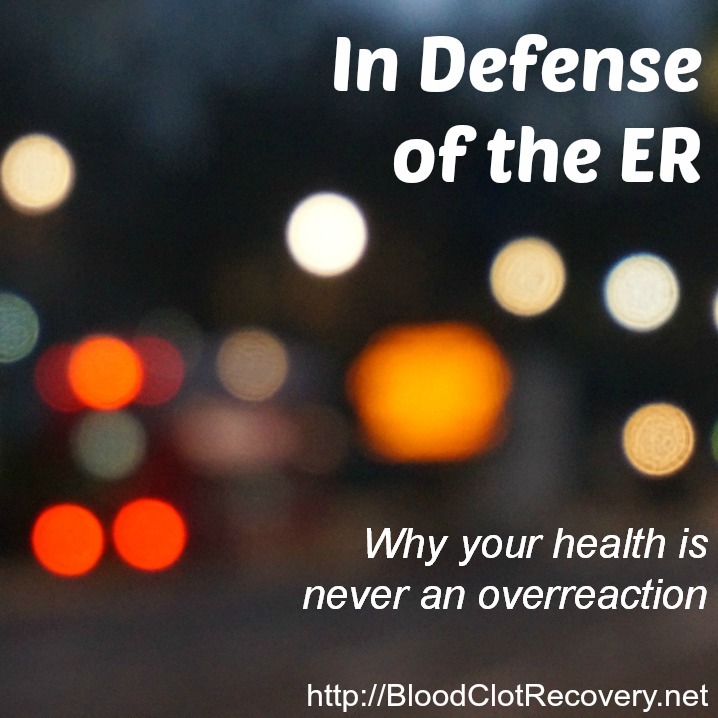 If you take an anticoagulant, you should consider wearing a medical ID so that emergency responders and medical doctors know how to best treat you in an emergency, or if you can’t share your medical history yourself. 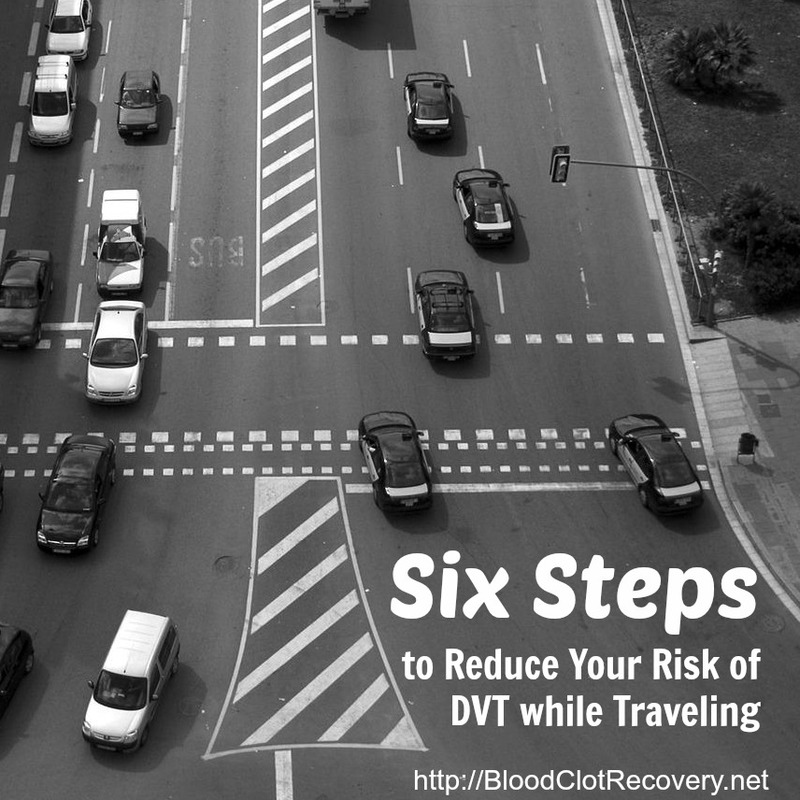 It is important that they not only work as quickly as possible to stop any life-threatening bleeding, but also that they understand you are at risk for blood clots. There are numerous places to purchase a medical ID from, and I don’t believe they are all the same. I’ve had a few medical IDs that were not worth the money I spent on them. When I was given the opportunity to review a medical ID of my choosing from American Medical ID®, I was excited to give them a try. 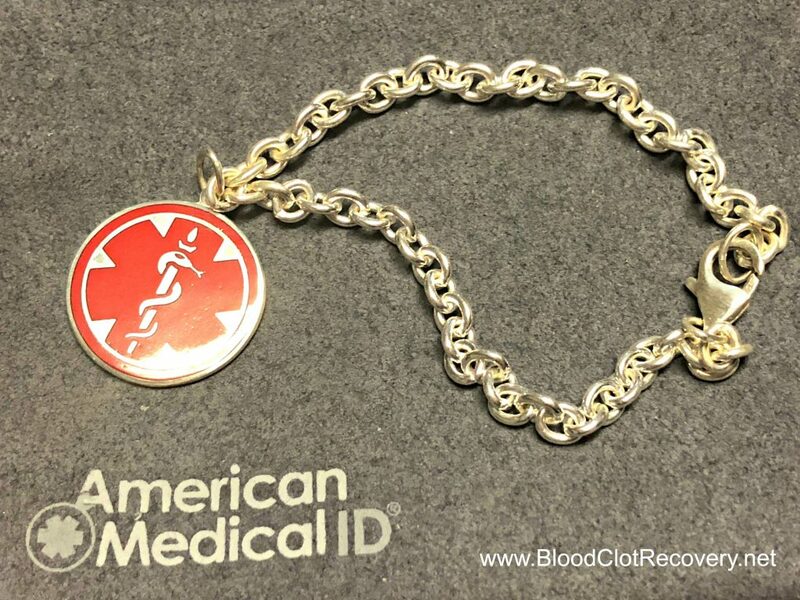 I chose the Sterling Silver Medallion Red Charm Bracelet for my medical ID. 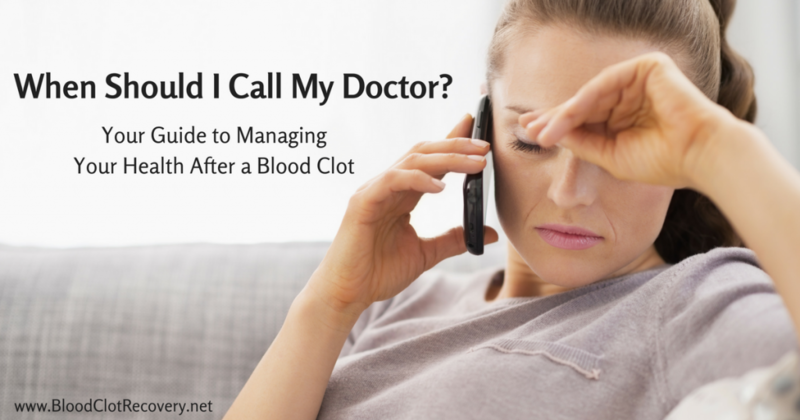 Read more about Medical IDs for blood clots from American Medical ID®. 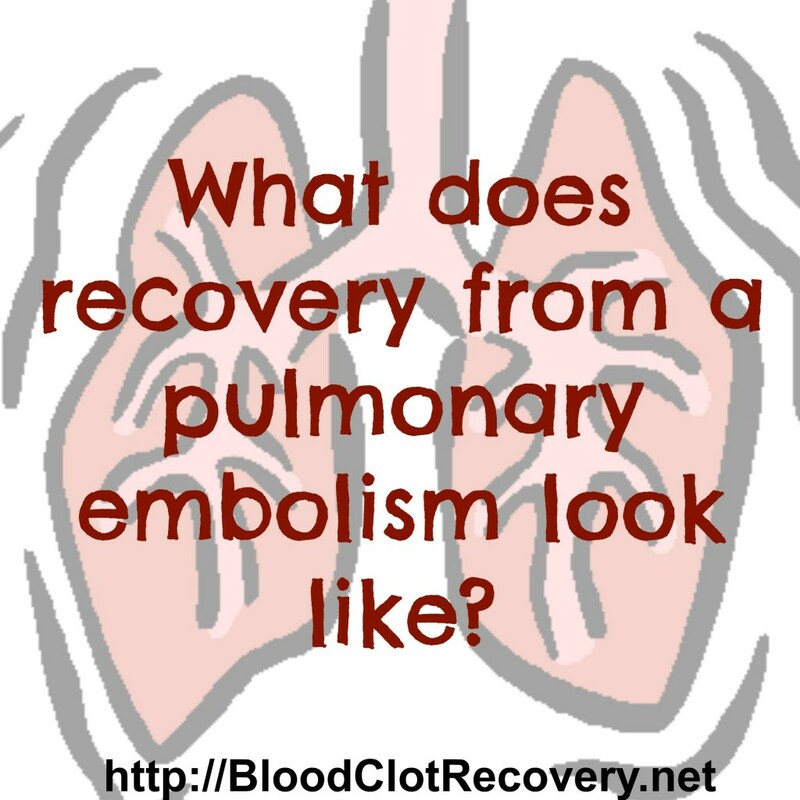 What I love: The medical emblem is large, red and easy to identify in an emergency. 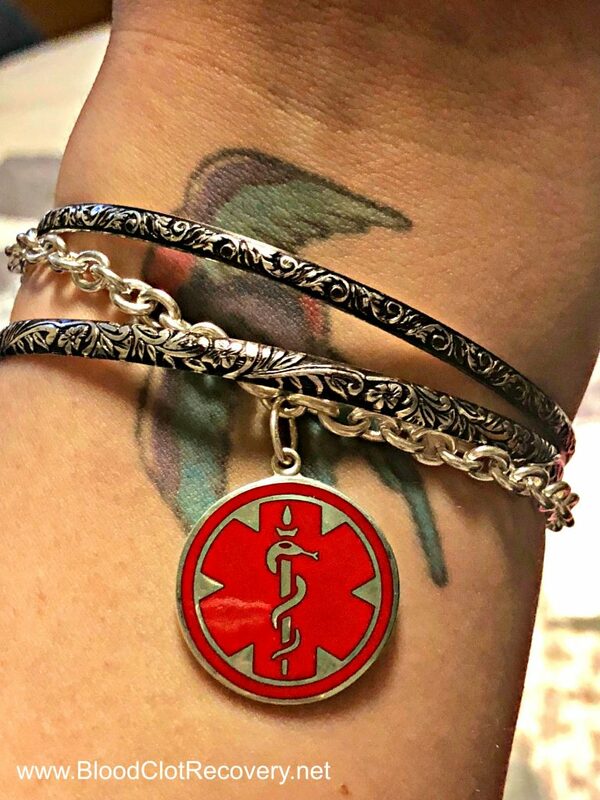 The charm design is unique and feminine too, but it is still recognizable as a medical ID. The design I chose is sterling silver and it is of high quality. What I wish was different: I wish the chain was heavier/chunkier. This is a lot more delicate than I thought it would be, so if you like delicate jewelry, you will definitely love this. I also wish it was easier to get on and off (I don’t sleep in it unless I am traveling away from home), but I think this is pretty standard with any clasp such as this one. I’m not worried about it coming off accidentally, it’s very secure. A note about my engraving: I talked to my doctor about my situation, and he suggested I keep this information regarding a prolonged PTT with inhibitor INR readily available in case of an emergency. He also said to let my family members know this information in case I am ever hospitalized or need surgery. I have an interesting and complicated set of circumstances. In short, this information means that a heparin (blood thinner) IV, should I need it, could be inaccurately dosed due to an INR inhibitor that I have. I have this information stored in my phone – and in my relative’s phones – and now on my new medical ID. What I love: For the size of the charm, I could fit a lot on this ID. The type is large and easy to read. What I wish was different: I wish the engraving was oxidized, or a little darker (it is still readable). I consider a medical ID an investment, and it might be something you have with you for a very long time. Since I have been taking a blood thinner, I have had a few medical IDs. 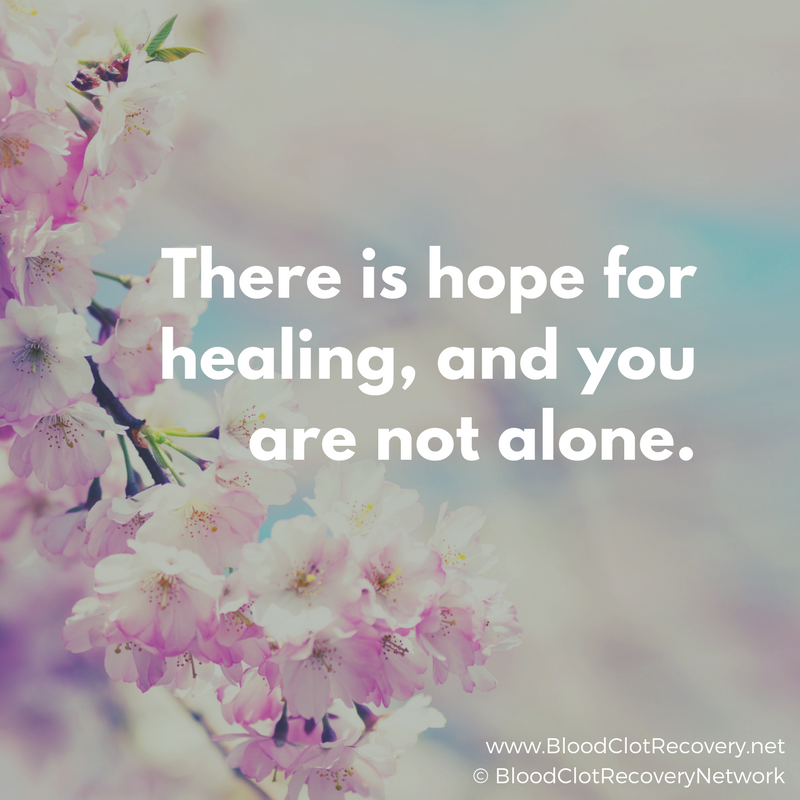 Some with different names of the different blood thinners I have been on, updated contact information, necklaces, bracelets, and even a keychain. I am a jewelry person, but I was annoyed and frustrated with always having to think about – let alone wear – a medical ID. I like to change my jewelry around often, and I don’t like to sleep in it. If I am going to wear something all of the time, I have to love it, and let’s be honest, who loves a medical ID? It may not be something we wish for or want, but I do think American Medical ID® makes it a whole lot nicer to own a medical ID. I love that they offer a wide variety of styles and products – for men and women – with a broad range of prices too. I believe there really is something for everyone from American Medical ID®. I like the way my American Medical ID® stands out among the other bracelets I wear. It looks like a medical ID, but it is also one that I feel good wearing because of the style. This ID is extremely lightweight and comfortable to wear. American Medical ID® has an easy to use, and very informative, website. The engraving process is also simple – it costs just $7 – and they also have excellent customer service. I got my ID really quickly – within a week of ordering – and it came expertly packaged and included a small carrying or storage pouch. If you’re looking for a medical ID, I recommend you try American Medical ID®. I’m really happy with my bracelet, and I plan on wearing it. 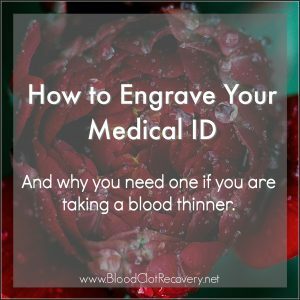 Here are some of my thoughts about how to select and engrave your medical ID. More tips from American Medical ID® about how to select your medical ID. Talk to your doctor about what to engrave on your medical ID. You may think this sounds silly, but I had no idea what should actually be on mine, until my doctor happened to mention it. More Tips from American Medical ID® about how to engrave medical ID. Read more from American Medical ID® about why a medical ID is critical. If you’re taking a blood thinners, I strongly suggest wearing a medical ID. 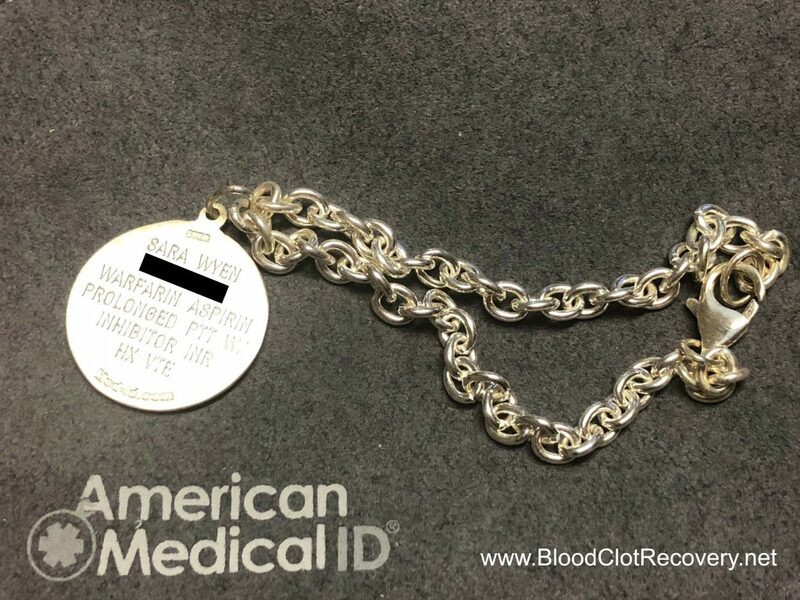 Thank you to American Medical ID® for the opportunity to review and wear an ID from you. Reader Writes In: Do you wear or carry a medical ID? Share in the comments. Thank you to American Medical ID® for the opportunity to review and wear one of your medical IDs. 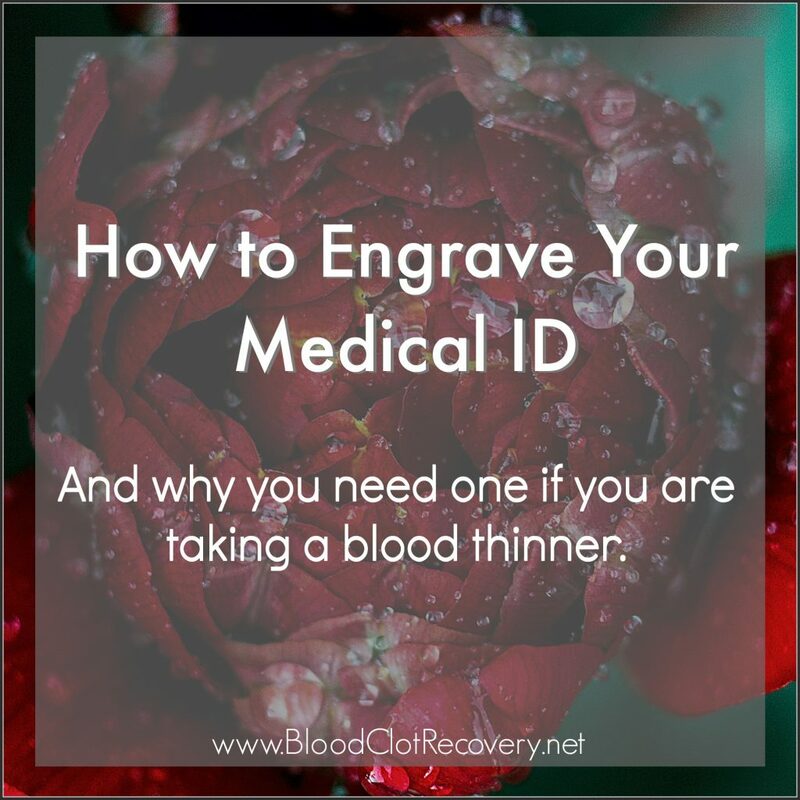 Get more tips about how to engrave your medical ID from BCRN. Have an iPhone? You can update your iPhone with a portable medical ID (and it is free). Go to your Health App (pink heart) and select Medical ID to fill in your personal info). Also, find other ways to stay safe on the go. After spending a week in the hospital, whether or not I needed to wear a medical ID bracelet was the last thing on my mind when I was finally discharged. 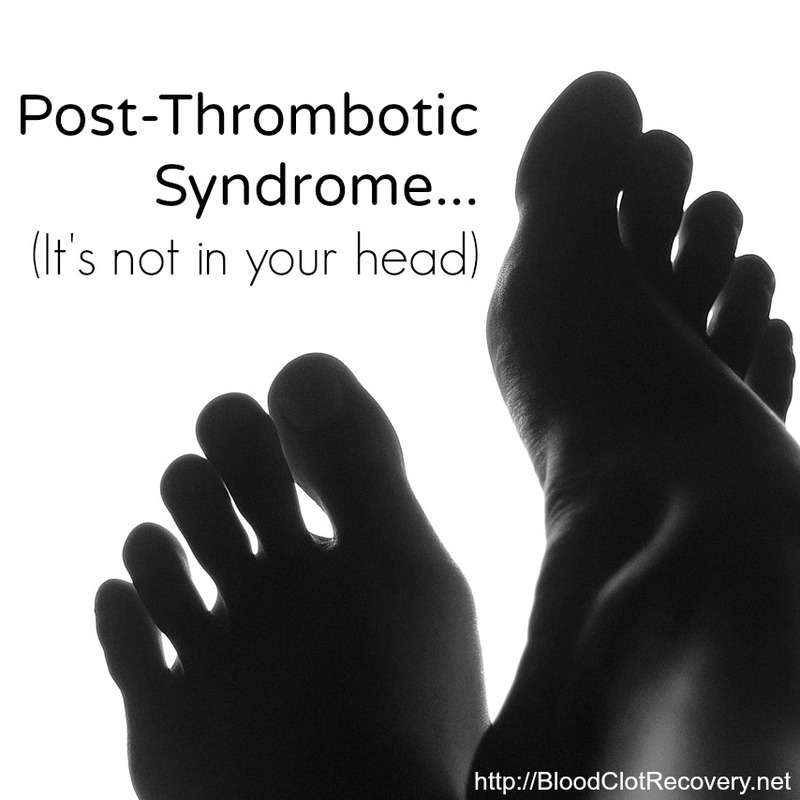 In a matter of days, my entire world was turned upside down when I was diagnosed with blood clots in my leg (DVT or deep vein thrombosis) and lung (PE or pulmonary embolism). I was worried about the new job I was supposed to start, what an INR was, when I could run again. I also wondered why this happened when I was doing my best to take care of myself for first time in my entire adult life. I felt scared, alone, sad, overwhelmed and I decided it would just be better for me to stay indoors rather than worry about what would happen outside where I could fall and hit my head on concrete or – my worst fear – get in a car accident. It was then that I realized that without a medical ID, no one would be able to help me if one of these accidents occurred. Blood thinning medications or anticoagulants save lives because they treat or prevent potentially life-threatening blood clots. However, they also pose one possible and very serious side effect: Bleeding. 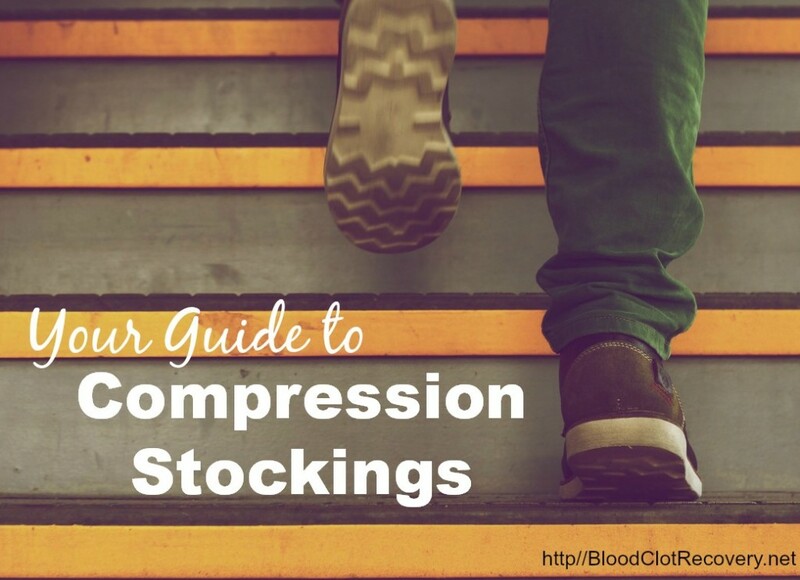 Since blood thinners slow the clotting of blood, unwanted and sometimes dangerous bleeding can occur with the use of these medications – especially with a fall, a head injury or a traumatic accident. A medical ID or medical alert bracelet or necklace is a very important tool that could save your life in an emergency situation. If you are ever hurt or injured – and not able to speak for yourself – a medial ID may be the only way first responders or doctors know how to begin treating you. 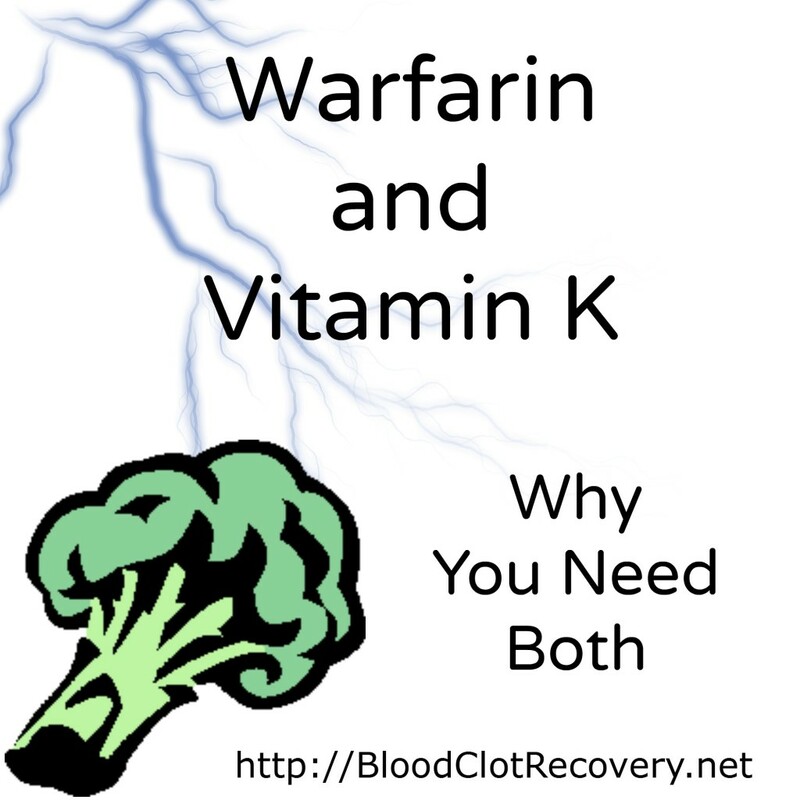 If you are taking blood thinners – especially warfarin for which vitamin K exists to slow or reverse bleeding – medical professionals need to know immediately. 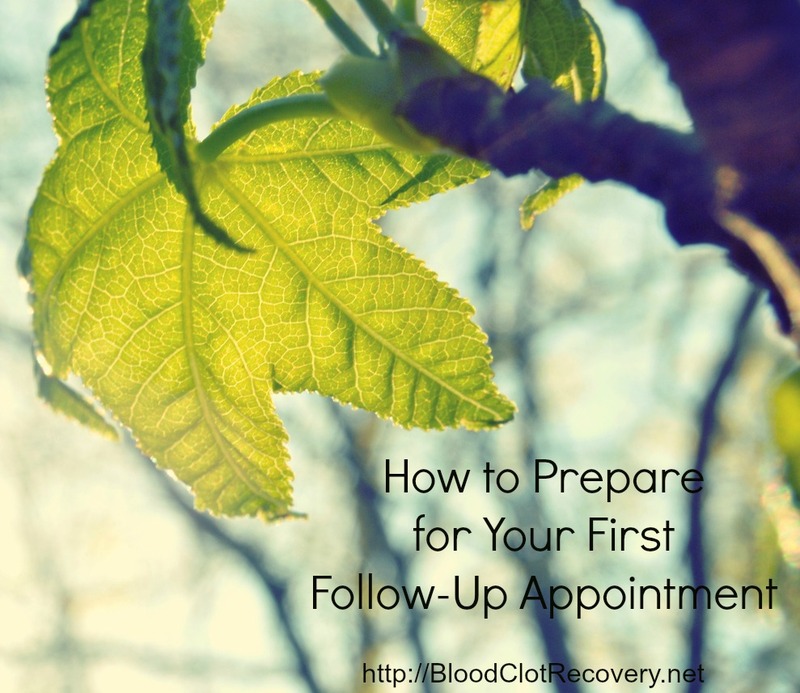 If you are taking a new oral anticoagulant for which there are no reversal agents, doctors still need to know so they can care for you to the best of their abilities. Medical IDs do not need to be elaborate and must be able to convey life-saving information as quickly and clearly as possible. A medical ID must be immediately recognizable as a medical ID – if it’s too pretty or cute, it might not get notice in an emergency. 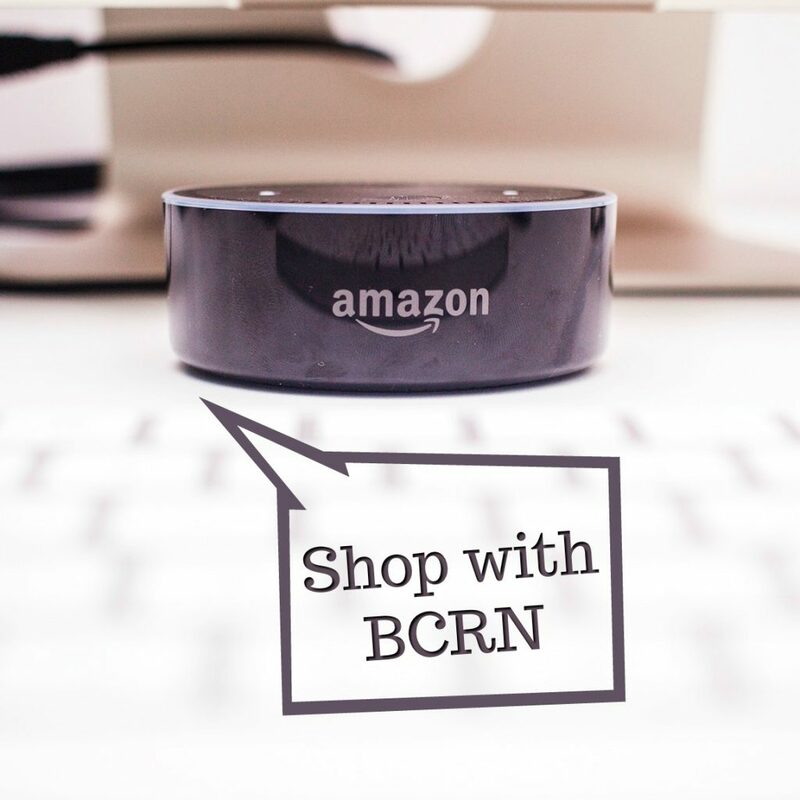 BCRN’s Shop on Amazon – My shop has some of my personal recommendations for a variety of styles (not personalized), for almost any budget, including silicone IDs that are great for quick ID and outdoor activities. American Medical ID – A variety of styles, which you can personalize with your information, and prices. I wear an American Medical ID daily. 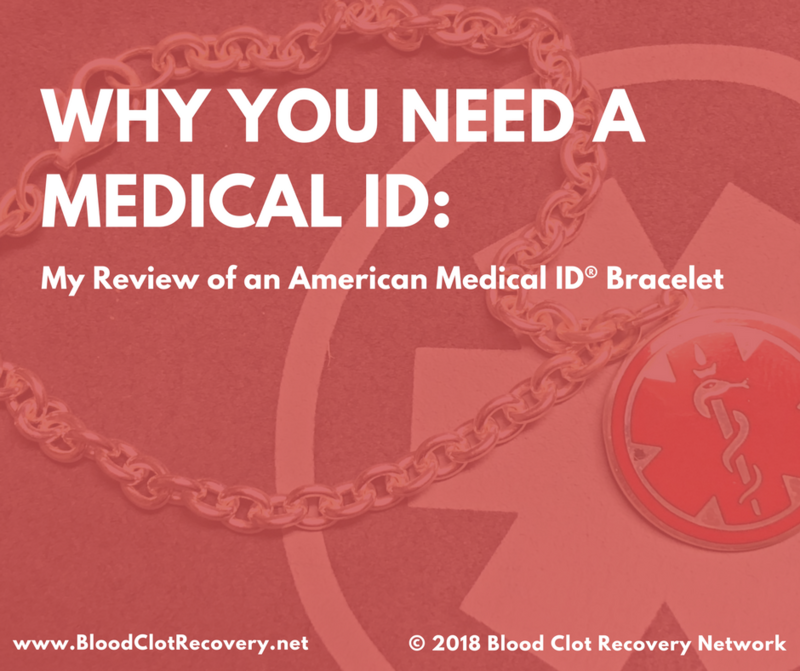 Read my complete review of my American Medical ID here. Road ID – Perfect for sports and outdoor activities, and displays a lot of information. My MedicAlert Foundation – A classically designed medical ID that comes with a virtual subscription to a 24/7 Live Emergency Response Team for delivering accurate and clear health information securely to first responders and healthcare professionals during an emergency. This is where I ordered the medical ID that I wear when a lot when traveling. Be specific in what you engrave on your medical ID. An ID that says “blood thinner,” “anticoagulant,” “medical condition” or just displays a medical or red cross symbols is not specific enough. Your ID, at a minimum, must say what anticoagulant you are on. Make sure your medical ID looks like a medical ID. The purpose is functionality, not fashion. You can carry multiple ID’s. I have one that I wear (bracelet or necklace), one on my keychain and the mobile app on my phone. More reasons why you should wear a medical ID. Share your story. Do you wear a medical ID? Are you planning on ordering one? Where is your medical ID from? Has it saved your life in an emergency? Do you think you need one? Why or why not?